During my time at Apegroup, I got tasked to work on how to deliver design at scale. The task was essentially to reduce operational inefficiencies in the design workflow through process. In short, getting design improvements in the hands of all stakeholders as quickly and with as little friction as possible... We now call this design ops in today’s lingo. Apegroup is digital design and innovation studio based in Stockholm, Sweden. Back in 2014, the design team realised there was a need for optimising the design handover to clients and to engineers. Most designs were handed over by PDFs or PSDs and therefore, had a big chance to be lost in translation with all the different communications between everyone involved in the project. During my time at Apegroup, I got tasked to work on how to deliver design at scale. The task was essential to reduce operational inefficiencies in the design workflow through a process. In short, getting design improvements in the hands of all stakeholders as quickly and with as little friction as possible... We now call this design ops in today’s lingo. Introducing Pattern libraries and style guides framework for every projects to ease the workload on designers and engineers. How to effectively deliver design at scale and keep a centralized, live document available to all stakeholders. I conducted few interviews with different team members in the company to understand how design delivery was generally conducted. I identified that most design files and specs were handed over by PDFs or PSDs and sent through Basecamp or via email. No flexibility : Once the design file would be sent, the process to maintain or adjust elements could be cumbersome. Workload: Designers were allocated for a certain amount of time for each project. Iterating or adjusting elements would usually increase their workload when already starting a new project. Source of truth: Files would usually be attached to a Basecamp project at the start then very often, sent by email when changes were needed. This could often lead to confusion. Different stakeholders had always to rely on the designer to know which file was the latest. I conducted a quick competitive analysis to understand what was available, identify best practices that had similar interactions and functionalities. 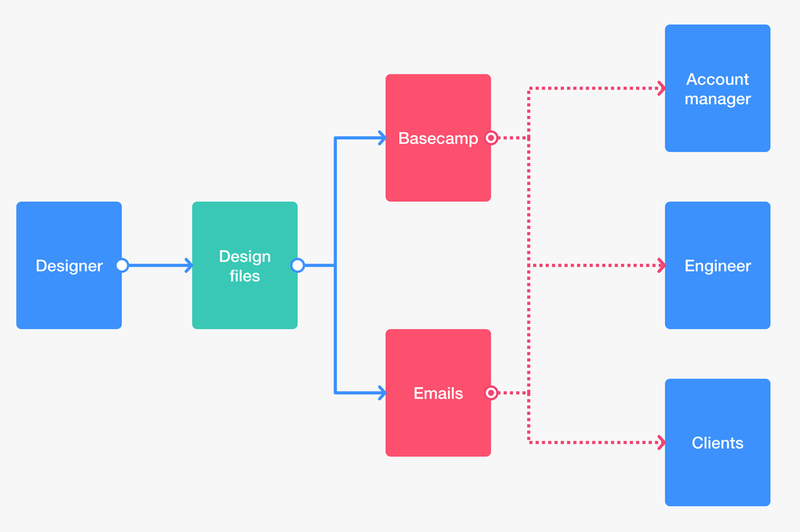 I worked on fleshing out how an optimised workflow would work introducing a design delivery coordinator (role I took) that would site between designers and engineers. This role ease the workload on the designer and would be responsible for creating and maintaining the pattern library. Based on the best practices I previously found online, I started looking for what would fit best this new organisation in terms of ease of implementation, impact and confidence. I had some basic knowledge of front end dev skills, and found that bootstrap 3 (that just been released back then) coupled with repo generators would be a good fit with a small learning curve. Elite hotels is a swedish hotel chain with about 40 hotels around Sweden. Bisnode offers decision support in the form of digital business, marketing and credit information services. Apegroup pattern library template is an internal demo project built for marketing purposes. It’s the result of a couple of success full pattern libraries built for clients. Designing and fleshing out a new workflow for better design delivery was an interesting and challenging project. Challenging technically, having to learn new coding and organisation skills. And from the human side of things, having to collaborate with all kinds of stakeholders (designers, engineers, account managers and clients) understanding their needs and pain points. Reviewing this 4 years later, I am so glad to see that all those problems are being solved by a number of companies (Invision, Marvel, Zeplin and Abstract to name a few) trying to bridge the gap between designers and stakeholders and optimising design delivery.